YouTube is adding some more strings to its VR bow, with a trio of National Geographic TV series set to be released on the online streaming platform. The series kick off this month with The Okavango Experience, which follows a documentary team through the Okavango Delta river in northern Botswana in Africa. 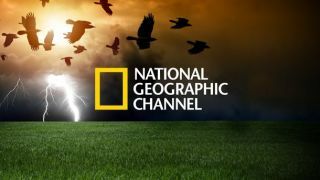 The first five-minute episode will commence on December 11, and will be available through National Geographic's own website and YouTube channel, or via the Google Daydream VR app. Successive episodes (2-4) will then release every Tuesday throughout the rest of the month, while the other two VR series – the subjects of which are as yet unannounced – are expected to be launched in 2019. Jenna Pirog, Senior Director of Video & Immersive Experiences at National Geographic, spoke of a "long-term partnership" with YouTube, with the aim of "marrying immersive technology with impactful storytelling". YouTube is a prime example of the free content model, using a host of in-page and mid-stream advertisements to fund the platform. The streaming website currently offers a paid-for subscription that removes ads from videos and offers access to a host of YouTube Originals content: whether TV series like Cobra Kai or documentaries like Kedi. YouTube is, however, planning to offer free, ad-supported versions of all its Originals programming next year, in a bid to attract more viewers to its budding production arm. The site has also started adding full-length movies for free viewing – given the amount of films being uploaded illegally to site by users, offering more official alternatives may be a smart move.